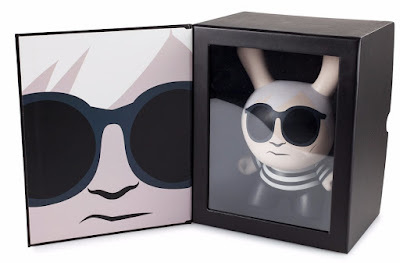 Kidrobot continues to expand its officially licensed Andy Warhol Capsule Collection with this awesome Andy Warhol Masterpiece 8” Dunny vinyl figure! This limited edition release features the iconic artist in a black and white striped shirt and his signature glasses. The Blot can’t lie…I really, really want this fantastic tribute to one of pop culture’s biggest icons. 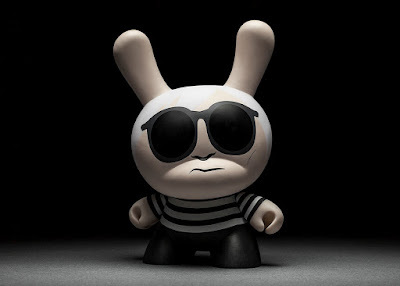 But the $250 price tag for an 8” Dunny, even one limited to just 500 pieces, seems like a hard sell. I’m really interested to hear what other collectors think about this new price point for KR’s line of Andy Warhol 8” Dunnys. The Andy Warhol Masterpiece 8” Dunny Vinyl Figure by Kidrobot comes packaged in a black and white window box with a magnetized closable flap. Collectors can purchase this designer art toy now at Entertainment Earth for $249.99 (with free shipping) here.